1980-1981 EKU gymnastic team members playing around. 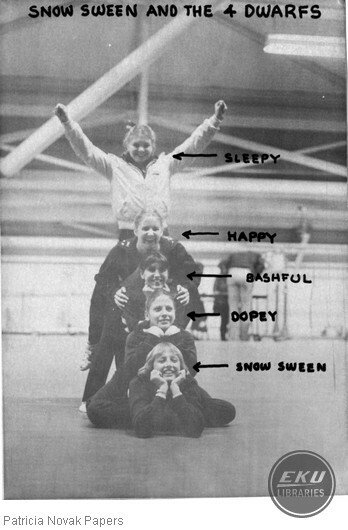 "Snow Sween and the 4 Dwarfs"
Patricia Novak, “1980-1981 EKU gymnastic team members playing around. "Snow Sween and the 4 Dwarfs",” Digital Collections, accessed April 25, 2019, https://digitalcollections.eku.edu/items/show/2219.